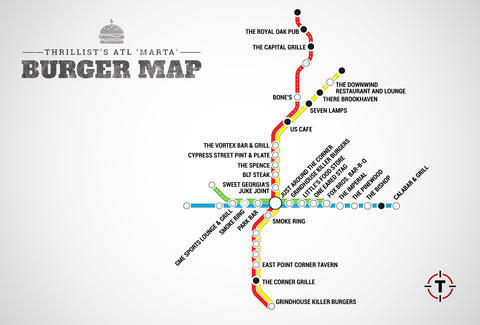 If you're riding MARTA, you're probably gonna need a few drinks, but after that you're definitely gonna need something to eat, and what better than a sweet burger? 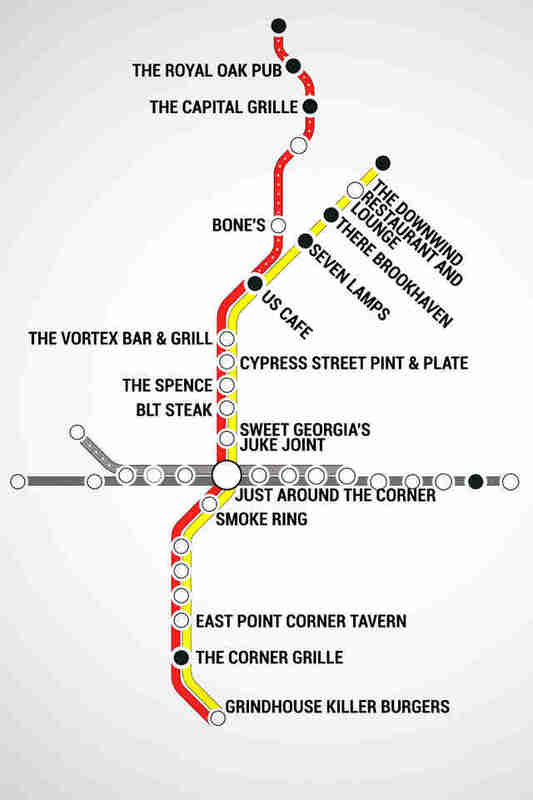 That's why we decided to track down the spots that serve burgers for lunch/dinner within a 15 minute walk of (almost) every MARTA stop. You're welcome! Think you can fill one of the gaps? Go for it in the comments section. 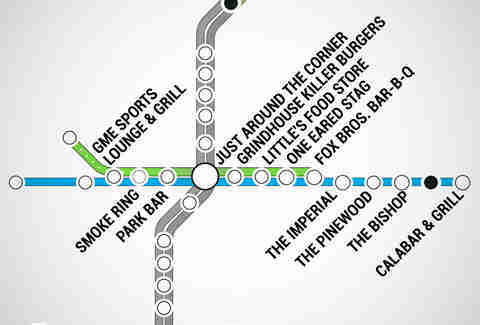 Scroll down below to see the individual lines broken down, or click here for a blown-up version of the map.